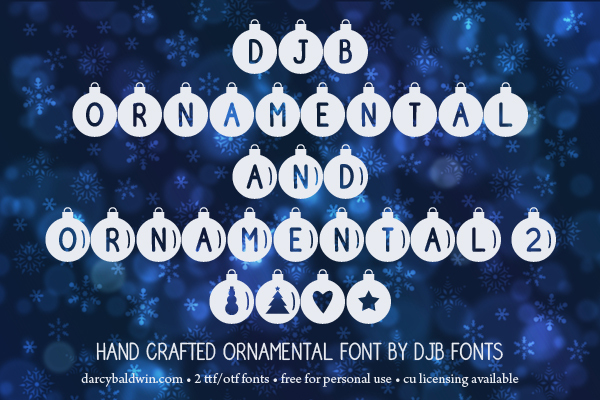 DJB Ornamental Font – decorate your virtual tree with fantastic ornaments from DJB Fonts. This font comes in two styles – regular and reflective that gives it a 3-D effect. 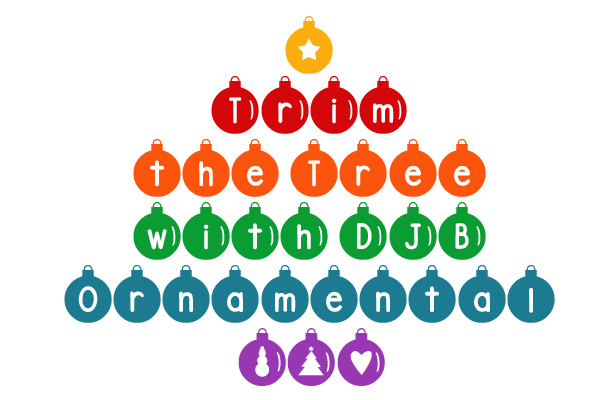 Use it for tshirts, Christmas gifts, Etsy merchandise and more! 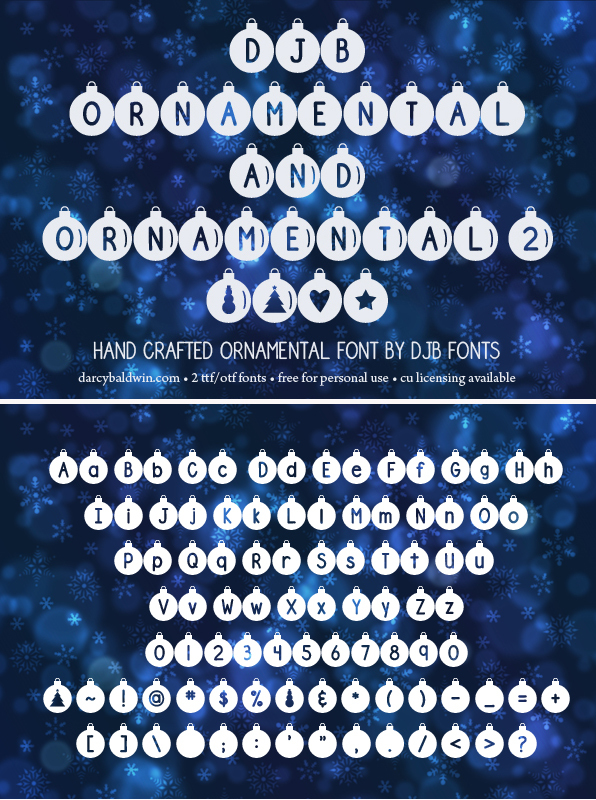 This font is free for personal / non-profit use. Don’t know if your use is just personal? Check out the FAQ here. This file contains one .ttf/.otf font file with full alphabet, numbers, and most common punctuation plus a few extra fun characters (See the preview at bottom of post for details). If you would like to use this for your commercial/professional ventures, please purchase a commercial use license here. 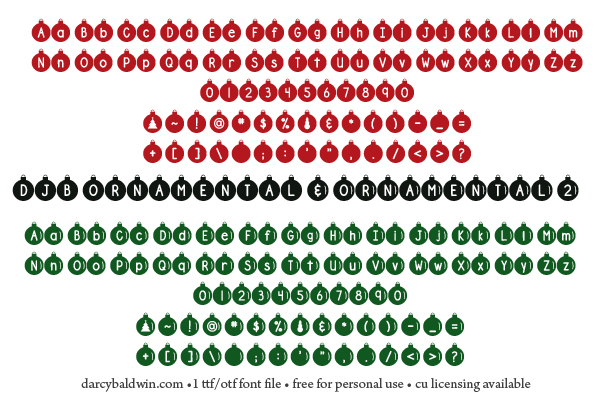 For your records, be sure to include the name of the font you are purchasing the license for. If you do purchase a commercial license for this font and wish to receive the webfont, you may at the Hungry JPEG or Creative Market links below. You can also purchase the license from The Hungry JPEG or Creative Market if you want an alternative to Paypal. These versions will also include a webfont file.